Good afternoon everyone! I am finally back! There have been some changes going on in my household plus my husband and I had our anniversary Thursday so I have been a little busy the past few days. Things are going great and I should be able to get back to posting almost every day. 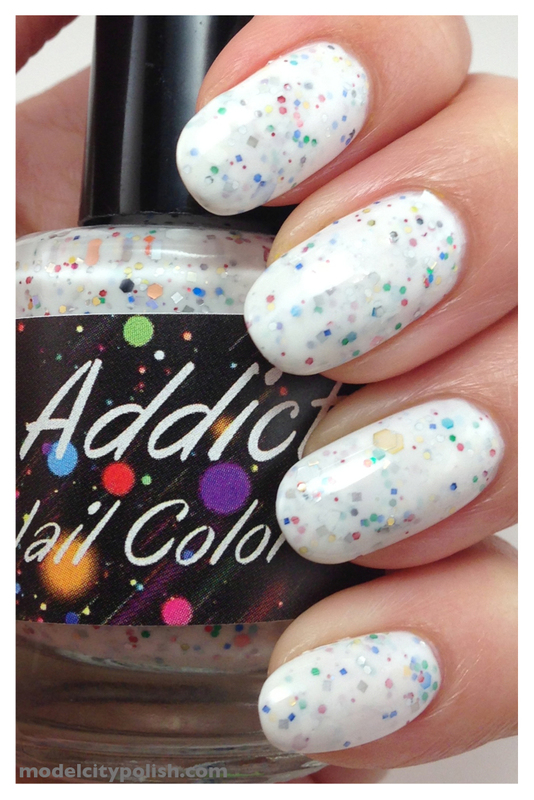 Today I want to share another lovely blend I got from Polish Addict in our indie swap. 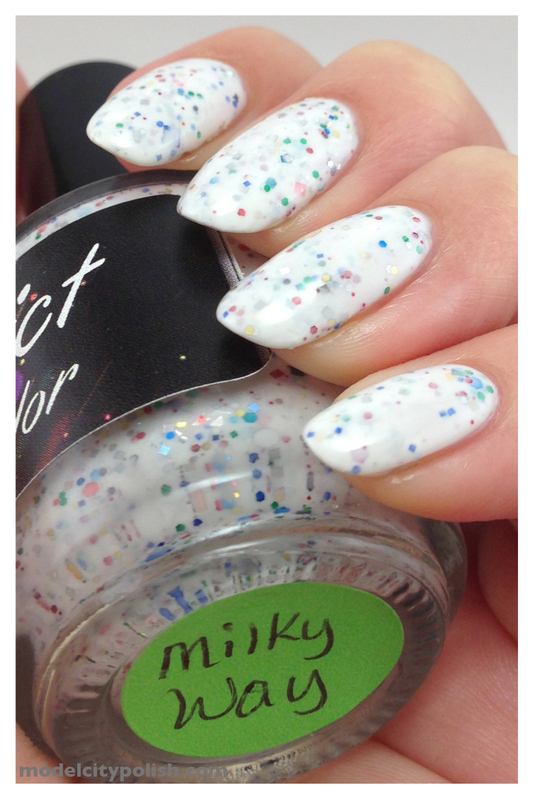 Milky Way is a lovely white crelly base with matte white shards and tiny multi glitter hexes and equally tiny squares. 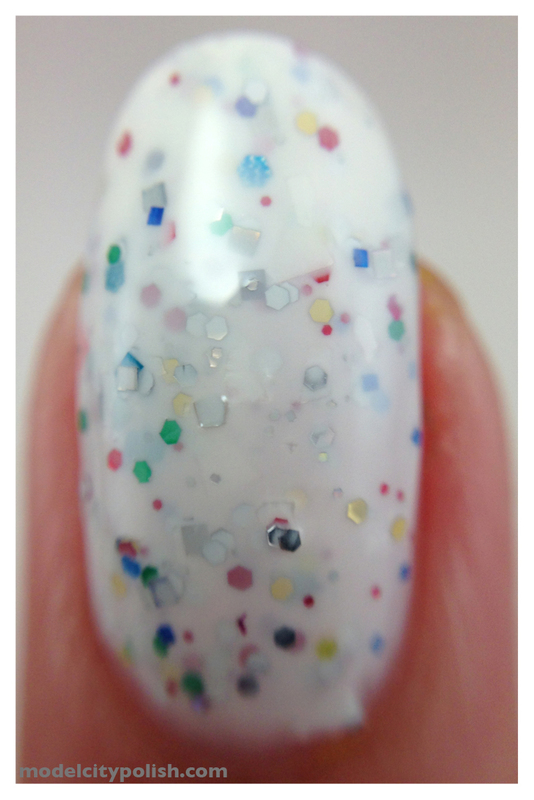 Sometimes shards can be difficult to work with but not in this one. There was just enough to give it a unique look but not too much that it clumps. It’s perfect! 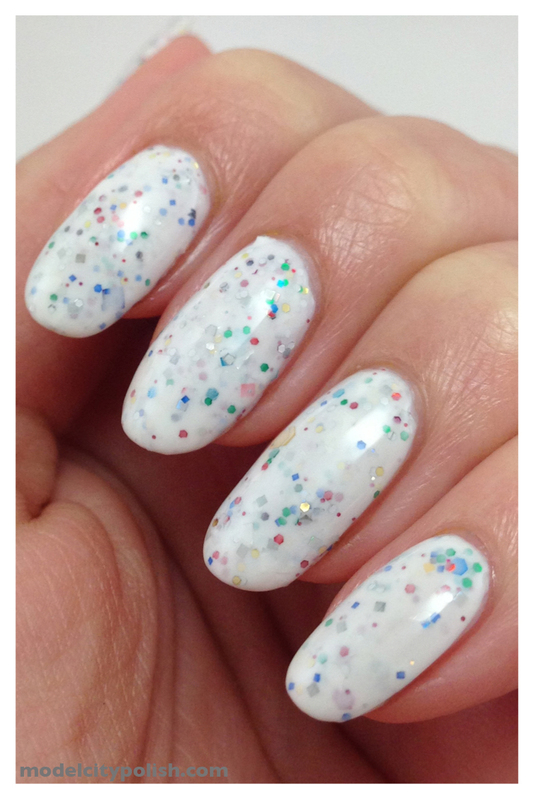 The glitter distributed wonderfully and was a really pleasure to work with. 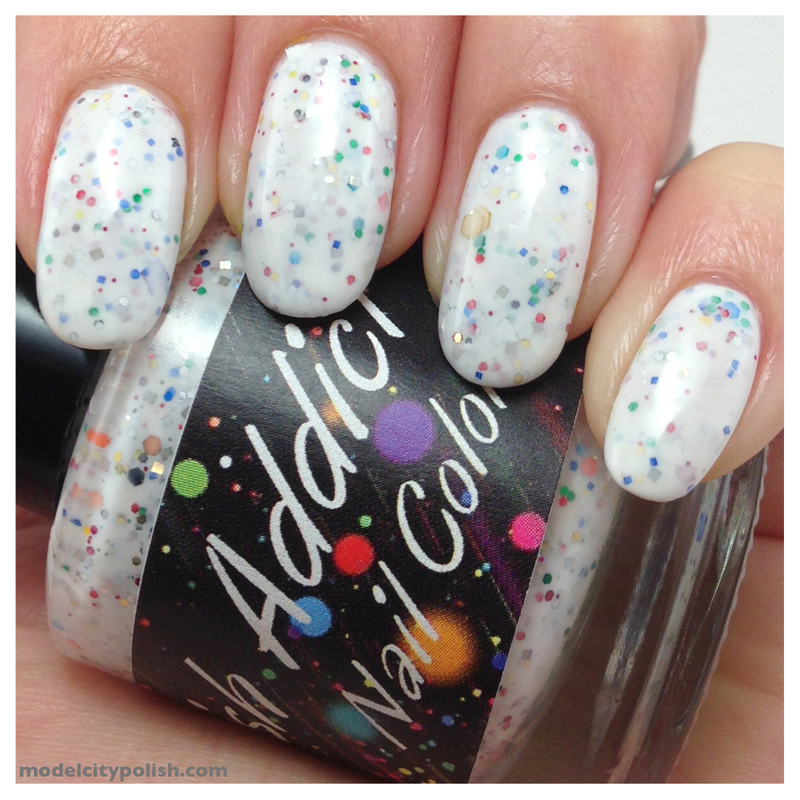 I used three coats to get a solid finish and then followed up with my Gelous…. and no I still haven’t made it to Sally’s to pick up a fresh bottles, eek!